FT8: Saving Ham Radio or Killing It? It is popular to blame new technology for killing things. The Internet killed newspapers. Video killed the radio star. Is FT8, a new digital technology, poised to kill off ham radio? The community seems evenly divided. In an online poll, 52% of people responding says FT8 is damaging ham radio. But ham operator [K5SDR] has an excellent blog post about how he thinks FT8 is going to save ham radio instead. Recent developments on the world political stage have brought the destructive potential of electromagnetic pulses (EMP) to the fore, and people seem to have internalized the threat posed by a single thermonuclear weapon. It’s common knowledge that one bomb deployed at a high enough altitude can cause a rapid and powerful pulse of electrical and magnetic fields capable of destroying everything electrical on the ground below, sending civilization back to the 1800s in the blink of an eye. We live in an electromagnetic soup, bombarded by wavelengths from DC to daylight and beyond. A lot of it is of our own making, especially further up the spectrum where wavelengths are short enough for the bandwidth needed for things like WiFi and cell phones. But long before humans figured out how to make their own electromagnetic ripples, the Earth was singing songs at the low end of the spectrum. The very low frequency (VLF) band abounds with interesting natural emissions, and listening to these Earth sounds can be quite a treat. Most new hams quickly learn that the high-frequency bands are where the action is, and getting on the air somewhere between 40- and 160-meters is the way to make those coveted globe-hopping contacts. Trouble is, the easiest antennas to build — horizontal center-fed dipoles — start to claim a lot of real estate at these wavelengths. So hacker of note and dedicated amateur radio operator [Jeri Ellsworth (AI6TK)] has started a video series devoted to building a magnetic loop antenna for the 160- and 80-meter bands. The first video, included after the break, is an overview of the rationale behind a magnetic loop. It’s not just the length of the dipole that makes them difficult to deploy for these bands; as [Jeri] explains, propagation has a lot to do with dipole height too. [Jeri] covers most of the mechanical aspects of the antenna in the first installment; consuming a 50-foot coil of 3/4″ copper tubing means it won’t be a cheap build, but we’re really looking forward to seeing how it turns out. We were sorry to hear that castAR, the augmented reality company that [Jeri] co-founded, shut its doors back in June. But if that means we get more great projects like this and guided tours of cool museums to boot, maybe [Jeri]’s loss is our gain? If you are familiar with radio propagation you’ll know that radio waves do not naturally bend around the earth. Like light and indeed all electromagnetic radiation if they are given a free space they will travel in a straight line. At very high frequencies this means that in normal circumstances once a receiver moves over the horizon from a transmitter that’s it, you’re out of range and there can be no communication. But at lower frequencies this is not the case. As you move through the lower end of the VHF into the HF (Short Wave) portion of the spectrum and below, the radio signal routinely travels far further than the horizon, and at the lower HF frequencies it starts to reach other continents, even as far as the other side of the world. Of course, we haven’t changed the Laws Of Physics. Mr. Scott’s famous maxim still stands. Radio waves at these frequencies are being reflected, from ionised portions of the atmosphere and from the ground, sometimes in multiple “hops”. The science of this mechanism has been the subject of over a hundred years of exploration and will no doubt be for hundreds more, for the atmosphere is an unreliable boiling soup of gasses rather than a predictable mirror for your radio waves. Radio amateurs have turned pushing the atmosphere to its limits into a fine art, but what if you would prefer to be able to rely on it? 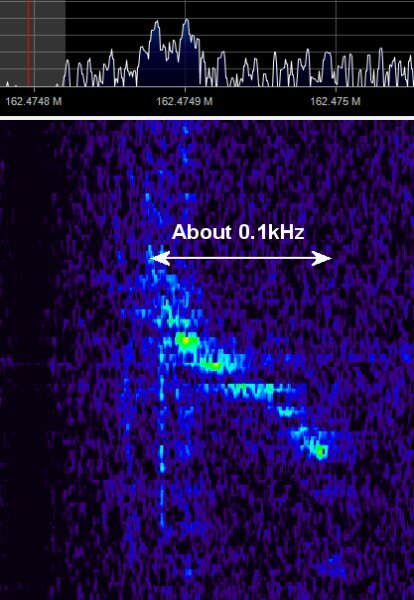 The US military has an interest in reliable HF communications as well as in evening out the effects of solar wind on the ionisation of the atmosphere, and has announced a research program involving bombing the upper atmosphere with plasma launched from cubesats. Metal ions will be created from both chemical reactions and by small explosions, and their results on the atmosphere will be studied. Of course, this isn’t the first time the upper atmosphere has been ionised in military experiments. Both the USA and the USSR exploded nuclear weapons at these altitudes before the cessation of atmospheric nuclear testing, and more recently have directed high power radio waves with the aim of ionising the upper atmosphere. You may have heard of the USA’s HAARP project in Alaska, but Russia’s Sura Ionospheric Heating Facility near Nizhniy Novgorod has been used for similar work. It remains to be seen whether these latest experiments will meet with success, but we’re sure they won’t be the last of their kind. We’ve looked at radio propagation in the past with this handy primer, and we’ve also featured a military use of atmospheric reflection with over-the-horizon radar. Fishbowl Starfish Prime upper atmosphere nuclear test image via Los Alamos National Laboratory. As an image created by an officer or employee of the United States government as part of their official duties this image is in the public domain.